The Quran stresses the education of both men and women. Another common perception is that Islam oppresses individuals from other faiths, such as Christians and Jews. 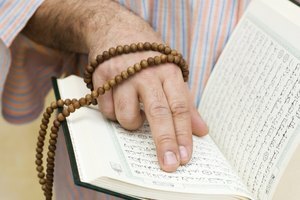 The Quran goes either way on this issue, with some verses highlighting the similarities between the three faiths, while others point out their differences. The hijab, or headscarf, worn by Muslim women is often interpreted by Westerners as a symbol of female oppression. However, in Islam many believe wearing the hijab is a sign of modesty that demonstrates a woman's devotion to Allah. Some also wear it as a means of specifically representing their Muslim identity. Muslim women generally believe wearing the hijab is a matter of personal choice. The Quran does not say a woman can be forced to wear a hijab or veil, although some predominately Muslim nations have forced it into law. 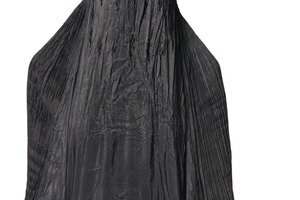 For example, under the rule of the Taliban, Afghan women were required to wear the burqa (an outer garment covering the woman’s entire body and face). Although the wearing of the niqab (a head scarf that contains a face covering) is not mandated by secular law in Saudi Arabia, women may be harassed by the country’s religious police if they do not cover their faces. The Quran stresses the value of education for both men and women, saying, “Seeking knowledge is compulsory for every Muslim." Islam does not ban women from seeking employment or running for political office. Similarly, Islam allows women to independently own property and assets, even specifying they have the right to maintain that individual ownership after marriage. A 2008 Gallup analysis found the majority of people in Muslim countries believe women are entitled to the same legal rights as men. Islam teaches that men and women are viewed equally in the eyes of God and condemns parents who reject their female children. Islam also teaches that women have a right to choose their marriage partner and cannot be forced into matrimony. However, the Quran does say men are responsible for the financial needs of a family and states that “men are the protectors and maintainers of women, because Allah has made one of them to respect the other, and because they spend from their means.” The University of Wisconsin-Madison reports that although that verse has been used to support the superiority of men over women in Islam, it actually only applies to the relationship between a husband and wife, not a woman’s overall role in society. Although some fundamentalist Muslim leaders have called Christians “infidels,” that does not reflect the teachings of the Prophet Muhammad. 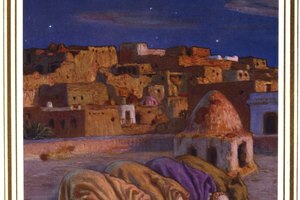 In a letter in 628 addressed to the leaders of St. Catherine Monastery in Mount Sinai, who had sought the protection of Muslims, Muhammad is said to have written that non-Muslim religious institutions should not be harmed. According to Dr. Muqtedar Khan, the director of Islamic Studies at the University of Delaware, Muhammad said all Christians were his allies. The Quran describes both Christians and Jews as “People of the Book,” or people who have believed in revelations communicated by God’s prophets. BBC - Women in Islam: Veiled Oppression and Stigmatised Misconception? 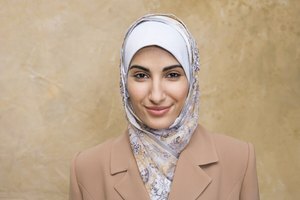 University of North Carolina - What is the Hijab, and Why Do Women Wear Them? Portero, Ashley. "What Does Islam Say About Oppression?" Synonym, https://classroom.synonym.com/what-does-islam-say-about-oppression-12087905.html. 29 September 2017. What Is Kufr in Islam?